Speaking of GOTV, here are 5 controversial women who are addicted to gracing our TVs with their drama-filled lives. Enjoy. Whether you need to activate your GOTV decoder, reset or upgrade your subscription, you need to have the GOTV SMS short codes for your country. In this post, we’re going to outline all the codes for the different countries where GOTV Africa offer their services. How does winning a cool 1 million Kenyan shillings sound to you? Inviting? That’s what I thought. GOTV is not only enabling you to go digital and enjoy crystal clear picture from over 70 channels, it is also giving you a chance to join the millionaires club. All you need to do to be entered into the draw is to buy a GOTV decoder and activate it. At the new reduced prices of Ksh. 1,399, one cannot help but try their luck. The decoder comes with a Free 2 months GOTVplus subscription. You will be able to enjoy E!entertainment, BBC, NatGeo, Discovery, Aljazeera, CNN, Africa Magic, SonyMax, SET, Disney Junior, MTV and many other exciting channels for free for 2 good months. Five winners have already been announced and we now have three to go. You can view the list of the Dunga Milli na GOTV Promotion Winners below. This promotion by GOTV Kenya is one of the biggest ever. A lucky GOTV subscriber is walking away with a clean 1, 000,000 Kenyan shillings each week. By the time the promotion that started in early March, 2015 is done, 8 Kenyans will be Millionaires. Nancy Mudecha – A 35 year old mother of five from Chavakali. She bought the decoder on credit. The shopkeeper allowed her to take it home for even though she only had Ksh. 1,000. Charles Mwendwa Muroki- A father of two from Maua Meru. He sells goods in a small kiosk and has operated a hotel in the past. Ernest Mwoya – He is GSU Officer at Kenyatta Barracks in Gilgil and he plans to use the money to construct rentals. Mutunga Mbuvi – He is a 38 year old businessman from Westlands and at the time of the win, Mr. Mbuvi’s wife was pregnant. Martin Nduchu – 28 year old father from Thika. He plans to start an agribusiness rearing chicken and dairy cows. He plans also use the money to build a home for his family and educate his daughter. Michael Ngaruiya – He is a Mandazi hawker from Kiambu County. He plans to expand his business as well as his wife’s day care business. You can also enter the promotion. Who knows what could happen? We understand that it can get frustrating when you are trying to contact your service provider. Sometimes the call goes straight to voicemail. This is why we have tried to answer all the common issues experienced by your decoder in their own posts. Browse the links below to see whether we have already tackled your problem. How do you upgrade your package to GOTV Plus? Quick Disclaimer: I am not GOTV Kenya, neither am I affiliated with the company in any way. That said, I value my blog visitors and aim to always provide the right information or help in any way that I can. If you have a query for GOTV and are unable to reach them via twitter for one reason or the other, leave your IUC number and a short description of your issue in the comments section and I’ll contact them on your behalf. You can also reach me by liking and inboxing me through my Facebook page: Modern Mom Kenya. Hey Haji. Kindly contact GOTV via Facebook or on Twitter to have your account reset. my iuc no is 2018567303 my decpder stoped while i tried to reset it, i am subscribed to free to air service but for the last one month my decoder is not functioning please help me ASAP i am missing your services. This is what GOTV had to say when I contacted them on your behalf…. Hey, dial *423# and follow all screen promopts to upgrade to plus for 6 months, at no additional costs. Hope that sorts things out for you Anonymous. I am a GOtvPlus subscriber IUC 2017530285 and I have not been enabled to view channels that I paid for. I have been your subscriber since May this year but m not happy with the way you attend to your customers. I paid my dues earlier yesterday but upto now I haven't gotten any feedback from you not even picking my calls. better return the money to me I look for other options. Kindly contact GOTV Kenya. I find that the easiest way to do this is by writing them a tweet on twitter. I am normally sorted in about 5 minutes when I do this. Hope this helps. Follow these steps to clear the error. Have you contracted people to go around looking for ares where to put Gotv disk boosters afriend was approched with an overwhelming nice offer by a well looking girl. kindly note that no such thing is going on. If this happens, report to the nearest post! Kindly use one of the contact methods above Patrick to raise your queries with GOTV. I am not sure about the other two questions but am certain that they will advise you on how to reverse your payment and credit your account instead. You will have to give evidence of the payment obviously. Hi I paid for GOTv subscription at arnd 6 p.m today bt the error message is still there..
Hey Fred, try one of these simple ways of fixing the e-16 error. Why is the automated telephone services so tedious? Does it help anyone? It is so annoying since it takes you round and round and round until it asks you to try again. Can someone contact me since I have a payment reallocation that needs to be done urgently? Hey Oscar, I believe you've been sorted by now??? I have paid my 849 subscription fee but entered the wrong IUC 4622421719 instead of 4622421791. The short code. *423# is of no help and I cant get you on phone. Advise. Moff, I also have little success with calling. Try one of the other contact methods like Twitter and Facebook. They respond faster when you do that. You will need to give them the payment details. Hi I paid for GOTv subscription on 10/08/2015 @ 4.47am I got i message that my payments has been accepted 849/=. Until now the error E16 is still there.IUC No. 2022352469…………what is happening!!! You can easily fix the e-16 error by following the instructions in that link. Mackory, I am pretty sure they will sort you out. It gets a little frustrating at times I know. Hi GoTv,Keep it up you have improved now when you make payments you are connected almost immediately thanks for your quick response. Kindly Assist me on how to subscribe to the free to air subscription where you pay 1200 ksh and get to watch all local channels for free my ICU IS 2018577788. Hey Peter, Kindly use one of the methods above to contact them. They'll be able to help. Hello am John iuc 2017196204, paid for the service on 12th 6PM but until now E16 error.Have tried all the means to reset this but in vain.Am totally disappointed as i could not watch my favorite programes though have paid. Hey John, here's how you fix the E-16 error. I hope that helps. Hi, i was due for payment on the 14th of this month, been trying to pay but its never gone through. It is telling me wrong format. am using paybill number 423655 and my IUC number is 2015966624. Please help me though you havent disconnected. Hey there, sorry for the late reply. Were you able to finally pay? That just means that the reception is not strong enough. It could be because it is raining in the other side of the continent and the satellites are not able to pick the signal. Michael, sorry for the inconvenience. Kindly contact GOTV using one of the methods listed above and they'll sort you out. I have paid 849 for all programs but few are available like nat get cannot be viewed, why and why do I have to pay so much while I can't view what I wanted? INC NO 2017549092.
paid for 2014152500,over a month now its still popping the message balance on the screen.its 3 times now am experiencing this problem.you say its sorted but nothing done.pliz go tv,up your service. If it has been over a month now, maybe it's time to renew your subscription once again, no? In my experience, the pop-up is normally to remind you that your subscription expires in less than 5 days. As a user myself, I agree that it can be annoying. I'll post if a find a way to do away with it. My icu number is 4622947242. I have used my gotv for 2 months and i wish to make it free to air, how much should i pay, and after one has made a one-off payment is it per year or permanent subscription? You will pay 1200 shillings. Contact gotv through one of the above methods to have them downgrade your account since I'm thinking you've been watching the free gotv plus. Which error is it showing? If it is the E-16 error, you can fix it by dialing *423# and following the instructions. It it is the e-48 error, it is reception and will clear by itself. Otherwise, you might need to rescan. Sorry for your terrible experience with them. Maybe they had taken taken a break for the weekend. Try contacting them again. my icu number is 2018950928.have beeen using my gotv for 5month now..its been 2weeks now since it stated saying no channel found.now its saying activate for the fast time..if l cnonect another gotv to my arial it work properly..please help. Kindly contact GOTV through one of the methods listed in the post. My ICU no.is2028807243 have already pay but My gotv is not activated please help me. I paid for Gotv lite two months ago but my go TV was switched off yesterday and they claim I have to pay 747ksh. what went wrong, they don't reply to my Facebook messages. Have you tried calling them Arnold? Hi paid Gotv lite two months ago IUCno.2017476639 but my TV was switched off on thursday and they claim i have to pay ksh.875……..where is the problem and i paid the full subscription through mpesa then got a reply from multichoice..?????? Kindly contact GOTV through one of the methods stated above and give them your payment details. My tv just went off when I tried to refresh the programmes. Have tried in vain to start the same. What's the way forward? Kindly explain more. Do you mean your TV or the decoder? Dial *423# and follow the prompts. You can find other ways of clearing the E-16 error in this post. Which error code are you getting? If it is the E-16 error, you can learn ways of clearing it in this post. Hi, I paid for my decoder a month ago and it has never been reconnected back. I have even over payed, I have tried all the ways to recconect back but it is not working. My device number is 2015960856. Have you tried contacting GOTV? You can do so through one of the channels listed in this post. can some one give me the contact for Gotv that is going through! Hi I paid for my Gotv a month ago but i still can't watch some channels since I paid. My Icu number is 2017352275. Hi,I bought my GOTV free to air option of course having paid the 1400 initial payment.since then i have been disconnected and i cannot view anything.my IUC no.2017316548.kindly assist. Why am I being charged for calling GoTV? I have been put on old for 10 minutes and used hell lot of my airtime!!!! I've always found Twitter more effective than calling. If you leave your IUC number I can contact them on your behalf. Hi, let me know if you are now able to view as I have reset the account for you. I am Nicholas my icu no. Is 2019141185 l paid on yesterday and yet the Gotv is off. Kindly confirm whether you were sorted out. It's ok l paid through mpesa and have the sms. Hi, Just paid 865/= for IUC 2003609588. I have tried calling but no answer, I tried clearing E-16 ERROR through the self service But nothing. Can I be assisted. I've requested GOTV to reset your account. They've said that they've reset your account. Thanks for stopping by. Which account did you pay to? GOTV will also want to have the payment details I'm pretty sure. IUCNo. 2003621884 current package is Gotv lite. Paid for Gotvplus on 19th september. I have tried to reset to Gotvplus without success. Does it mean I cannot switch to Gotvplus till my Gotvlite subscription expires? I'm not sure. I'll research then get back to you. I'm not GOTV dear. But they say that it looks like your account is okay. GOTV says done and sorted. Enjoy. Advise her to top-up 455 bob. I paid my account yesterday iuc 2002989012 and up to to know the services are scrambled. Kindly assist very disappointed. You've been watching GOtv plus for the past 2 months. In order to access Lite, you need to top up1698 bob. Lite has KBC, NTV, KTN, KTN2, Citizen, K24, Faith and Islam. They say you've been sorted. Right? I've requested GOTV to sort you as well. I was supposed to have my subscription till today but someone maliciously disconnected in the morning. It's my money n I need my services back. My ICU NO. 20030305476. The worst thing, there is no one to pick customer care number n one can hold for the next available one for ages. Kindly I want my services back. Hi,wanted to advance to gotv plus (849) instead of gotv(599) and been paying the 849 for a few months but to date cant view some channels like telemundo,nat geo and sony. MY IUC NO:2003688040.What could be the problem? GOTV say that your account is already active on the GOTV Plus Package. Hi,thanks for the immediate reply but after tried even rescanning all efforts futile. Let me see whether they can check what the problem is. They say they have fixed it. Kindly confirm. I paid for go tv free to air on 24th July 2015, as from around September 20th they have cut all other channels apart from KBC. My IUC No. is 2018670306. Whats the matter? I am subscribed to Gotv and my IUC is4623221515. I am uptodate with payments .Of late i have been receiving scrambled pictures and a message pop up:E-48-32 Searching for signal. Press OK for info." When I press the OK button a window pops up showing Strength-100%, Quality -Locked-95%. How do I rectify this so I can receive channels clearly. Here's a post on how to improve your GOTV signal reception. I hope it helps. ICU NO.2004304458. My subscription is upto date and I do not understand why am reminded that it is overdue and why clearing the error through Go eazy is not working. Am properly irritated. Please clear the error and do a good job. Hey, the account is active on my end. Can the owner confirm the exact message displaying on the screen for a quick fix. Hey Charles, GOTV Says you qualify for 6 months free GOtv plus promotion. Dial *423# using the number you used to activate the account with then wait for 72 Hrs. Hey, the transaction ID was JJ41790EVZ of ksh. 600 on 4.10.2015 at 12:05 pm.The wrong IUC is 2017575783 and the right IUC is 2017575983. I have not been sort still indicating i should pay kshs. 595. They told me that they reversed the transaction. I have requested GOTV to reset your decoder. In the meantime, you can try dialing *423# and following the prompts. The green light indicates that the decoder is on. If I'm not wrong, I think that the decoder is not connected to your TV correctly. Try to follow the steps in this post. I have no idea what you just asked. Hae i was called and requested to subscribe for six months free after doing that i can't watch any channel, what could be the problem ? What is your IUC number? Have you been sorted now? I hope you can now view the channels. Could you try paying through another phone? Hey I paid for my account but I have not watched even any Chanel now this is the second month, kindly connect or correct the error coz I have done it myself more than enough with no suxess. My ICU no is 2016908814. Your account has been reset I'm told. Confirm if you can. I think you paid and forgot to downgrade. Have you been watching GOTV Plus Channels? Let me confirm the status of your subscription and I'll get back to you. Hi, top-up 1698 kshs to be reconnected to GOtv Lite. I have been watching the channels but the dealer had adviced me that after paying 1800/- it was going to be free to air which is what i wanted. advice on the next move since i had bought two other for the family and we need free to air and what the 1698/- is for what?? First am not GOTV. Just a humble blogger who's out to help. Here's what I think happened. You were given the free GOTV plus subscription. Then you paid the 1800 and forgot to have your package downgraded. As a result, GOTV assumed that the 1800 was further payment for GOTV Plus subscription. And now two extra months have elapsed with you enjoying the GOTV plus. What you can do is pay and then request GOTV to downgrade your account. You can leave your IUC number once you pay and I'll make the request on your behalf. I have no idea why they reminded you. Hey anonymous. Am sorry you are frustrated with their services. I am however not affiliated with GOTV in any way. I'm just a blogger who shares your pains at times (am also a customer) and therefore out to help in any way I can. If you left your IUC number and your issue here, I could contact them on your behalf. i have been off since last week thursday…..n pls, Modern mum dont tell me to tweet or facebook….what are the customer care numbers for if they never help anyone me included??? Bin kept on hold daily for loads of minutes. My IUC number now turning ICU No. is 2004290116…No channels found since n most annoying no one to help! Is this normal for all other service providers now that i see complaints daily? Alexander, I contacted GOTV on your hbehalf and this is what they had to say. your account has expired. You have 205 kshs in your account so top-up the difference to be reconnected. top up or no top up…no channels found. I think atleast i should have KBC showing. U dint get me well…its blank…no channels found..leave alone payments first. Yes I misunderstood. My bad. Give me a few minutes. Morning Alexander, GOTV said that no channels found is a sign of poor signal reception. Read this post to see how you can improve the signal reception. i paid ksh 1200 on 20.09.2015 for annual free to air 2017826202 and then top up ksh 600 transaction no. JIK74DUU9 the same day for it reach ksh 1800 for a year only to get text on screen saying 1 day remaining for subscription kindly assist.because it is only one month gone i wish to top up for gotv lite HOW much ? I have a feeling that you did not downgrade to GOTV lite. Let me ask GOTV and then get back to you. Hi, you can only be downgraded at the end of your current subscription where you will pay 1800 kshs. Hi, I'm on the Gotvplus and today I found out that 90% of my channels have disappeared and like most consumers here, I could not get a hold of the customer care people. My ICU number is 4622705098. I've tried doing the Automatic scan, with no change even though my signal strength is above 90%. Please help me. Hey, we have a slight signal issue. Kindly be patient as our technical team resolves this. I paid my subscription on 20th but still I am getting a message that my subscription has expired. I have tried to call but I was kept on hold for an hour and no response was eventually got. My IUC Number is 2016067755, please solve my problem. This is what GOTV had to say. Hey, the account is active on my end. Let me know the error displayed for a quick fix. What do you mean by no signal? Is it indicating any error or you mean that the reception signal is low. These resources could help… Just visit this post to learn how to clear the E-16 error and this other one if you need to know how you can improve your signal reception. hello, i wish it was easy to reach you on the tel. numbers indicated above. I need to change my monthly subscription from Ksh. 850 to Ksh 600.Please fix this for me. I have already paid Ksh. 550 and all i can watch is KBC. Please fix this problem for me. I've requested GOTV to downgrade your package. I'll get back to you soon. hey, your account is now active. Do top up 49 bob to avoid your account going of as GOtv Value package goes for 599 bob. I've requested GOTV to reset your account. I'll tell you what they say in a while. They say that your account should be fine now. Let me know if this is not the case. I have a gotv plus package that should be expiring on 3rd December this year and I am getting a screen alert that i should pay sh849 and that it expires tomorrow 1st November. My IUC NO 4624059008. Kindly help. It seems to me cc contacts are never answered. GOTV said that effective 1st September when you buy a new decoder you get one month free of GOtv Plus package. Thaat is the ac og Faith Mwangi help sort out go tv error mpesa and ac already sent to you. Hey Anthony. GOTV say that they have reset your account. Let me know if you encounter any other issues. Your account has been reset Jemmimah. Have a lovely day. I've requested GOTV to upgrade your subscription. Don't worry about the over-payment, it will be carried forward. 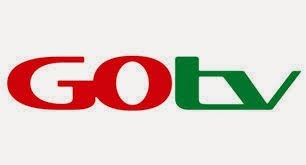 GOTV say that your decoder is already active on GOTV-Plus. Ensure you have signal strength of 90% and rescan. I have a feeling that your issue is reception. If no channels are found, that means that your go-tennae is not receiving the signal. Check the signal strength and quality and see whether they are more than 50% and 40% respectively. If not, just try following the steps in this post and let me know how it goes. I think your signal is poor. Follow the steps in this post to sort out that issue. Yesterday I paid for gotv plus but the service is still dormant can u guys assist? I keyed in the account number 2015222216 instead of 2014222216 while paying for November subscription . "Dear Andrew asiele you paid Kes 849.00 to an invalid account. Multichoice Kenya Ac 2015222216 please dial *423# to correct the account information"
This I did . Upto now I don't know whether this was corrected. Hey Unknown, GOTV say that your issue was sorted. payment for November done via Airtel money Trans ID:1511047148521 Reference(IUC) :2016015239 on date 11/04/2015.Yesterdat 11/06/2015 i got disconnected with message "currently Scrambled" from the GOtv webpage my account reads SUSPENDED. there call center has been busy all day,my email hasnt been acknowledged.This is not good Service! Kindly confirm for the phone number used to make payment and the amount paid. My Gotv is not working for two hours now. I have realized its not only mine bt others in some part of Nakuru. Kindly assist. We have not been able to access the gotv service the whole day till now. What could be the problem coz its not mine alone. Kindly assist. Your account has been reset Vivian. I tried to remove error code with gotv services but no avail. I have followed the steps with *423# but still nothing has been done so far. I have gone to the agent here in eldoret and he has assured me but still nothing has been done so far. Give me a minute. I've requested them to reset you. Give me a few minutes. You have sent me an sms for the last two months that pay Kshs.599 for Gotv value or Kshs. for Gotv plus and get 1 EXTRA month absolutely free! Reconnect today via MPESA no.423655 and I always pay via Mpesa and never gotten those extra. Please advise. Press Menu>Advanced options>Installation>Automatic Scan>OK. You should be able to view all the channels. Gotv its Paul the most frustrating is getting the right feedback I want downgrade to gotv value my iuc 2021728217. Already paid. Customer care numbers go unanswered..the error code procedures *423# its a sham deducting my credit to the the last coin. Gotv simplify procedures n stop all this. Mess. Hey Paul. I requested GOTV to downgrade your account and they have. Enjoy your viewing. I'll tell you what GOTV say. Hey Ronoh, your account was reset jana evening. Hope you're ok now. Lovely day. Hey anonymous, your account was reset last night. Enjoy your viewing. My IUC is 2019067588. I have paid for my gotv and I can't access the channels. Error codes everywhere. When I dial *423# to clear the error, "No active services with the smart card" pops out. Such a disgrace. I requested GOTV to look into your issue and they say that they have sorted it out. My IUC no is 2019067588. I paid Kshs.849 and I cant access the channels. Error code all the way. When I try to clear the error code through *423# "No active services associated with the smart card" pops out. Such a disgrace. Dennis, they say they have reset your account. Let me know if you have any other issue. Lovely day. Hi. My iuc no is 2015923260 I have made a payment of Kshs 599. Am requesting if my package can be changed to Gotv value. Done and sorted. Enjoy your evening. my Gotv just went off last night leaving the screen blank. Im already activated to free to air, what could be the problem? That's must be a hardware issue. Check whether it is still correctly connected to the TV. Give me a minute I contact GOTV concerning your issue. Yesterday at 2.35 pm, I paid up for renewal and also downgraded my subscription in my online profile but after confirming the new package choice I made the payment but the system did not load. Please correct this error and normalise my renewal to 599/= GoTV Value package which starts on 28 Nov 2015. Hey Ben. You have been sorted. Enjoy. Hi. Kindly help re-set my decoder E-16 ERROR. I paid through mpesa and still nothing forthcoming. My IUC no is 2018824715. I can see it's on the lite bouquet for the Free To Air channels. Would you like that to be changed? how do I reset my decoder parental control password. Kindly provide me with the payment details. RESET 2018720869 all payments have been made. Hi, I have reset your decoder. If you are not okay by now, tell me the exact message on your screen. Hi, i made my payments on 7th dec, received th confirmation message however still have th E-16 error code. Kindly clear it and give me tv. Your cudtomer service lines r unreachable. My IUC no is 2018802226. Hi, your account is now active. Enjoy your viewing. Hey guys While paying for my monthly subscription for December I made a mistake instead of GOTV account 2017821239 I used 20178221239 Mpesa transaction number is JL74LQ1DTO. kindly assist and refund back my money, since I had to pay again using the right ICU number. Hi, it can be sorted out. I just need the following payment details: Phone number used, account paid into, amount, transaction code, date and time of payment. Hi, adjust your aerial until you get a signal strength of 90% and quality of 100%. Then press Menu >Advanced options> Installation> Automatic Scan> OK on the remote to scan for channels. Hey, all sorted. Your account is now active on the Value bouquet. enjoy. Provide me with your IUC number and I'll ask GOTV to do it for you. State whether you want to upgrade or downgrade. Hi.i used my number for registration and I have relocated to somewhere else and left my decoder to somebody else. should re-registration done to the second part? These numbers are the same. This is what you do though, provide me with the right IUC, the IUC you sent the money to, the number u used to pay and the payment details…like time, ref and amount. I have not been getting all the GOtv Plus channels as required yet I have subscribed to this bouquet. Please help 2018946575. I confirmed and indeed you are on GOTV Plus. Try to rescan you device. I have tried seeking information on how to change my package from Gotv Plus to Gotv lite but the customer care lines don't offer the help I am looking for. I already paid 1800/= for my decoder to change to Gotv lite but the first thing was to subscribe the Gotv Plus I've had before. Tried calling but no help gotten. I want my decoder in Gotv lite not plus. Kindly help. Kindly provide me with your IUC Number. Am abit frustrated by GOTV services, i paid my subscription fee yestreday and upto now error 16 is not sorted. what kind of services is this? this is not first time for the last three months that is the trend. KIndly advice whether my decorder has issue or its poor services bieng rendered. GoTV acc is 2017807244. Your decoder has been reset. Enjoy. Hi just renewed my subscription iuc number 2017321760, the TV was on but the service has not resumed yet help. If it is another issue like the e-16 error, provide me with your IUC number to have it reset. Why do gotv gave their contacts as they know very well they won't respond your call, what for? I got tied with the eazy??? reminders and my remote control exit menu disfuctioned,to buy a new one ,I was told to pay 1500/=.My number is 2003661096.am now with startimes. Done. Your account has been reset. I need reset of my decoder IUC 2017511316. customer service for gotv is the poorest i have ever come across been calling all day! I want to upgrade my account ICU No. 2012121135 from an annual payment of ksh1200 to ksh849. I already sent ksh849 but only local channels are available.I would also like to update my details since my GOTV decoder was registered with the names of the GOTV agent who sold me the decoder. Your account will be upgraded in a few minutes. my icu no is 2017113232 a resident of Miritini Mombasa,all morning the GO Tv is saying ni 'Signal'. what could be the problem?? It's your reception. Kindly check whether your aerial has been moved and adjust it until you have a signal strength of 50% and higher. Is this your contact number 0730612000? Sssshhhhh… Lower your voice Robert. Give me your IUC number and your issue and I'll see whether I'm in a position to help. Its only fair to restore the service with equal disconnection speed. Hey Warugongo, your account has been reset. Kindly confirm. Your account has been upgraded to GOTV Plus. Enjoy. These numbers are just automated. No one is picking to talk..There is even no option of talking to someone. Aaaagh. Do they know how many options we have in the market. Let someone call me..too boring!!!! Your account has been reset. Kindly confirm. Hey, the account is due payment. Kindly top up to be able to view. I have a feeling that you paid and forgot to ask gotv to downgrade your account. Give me your IUC number so I can confirm. I paid 850 for GOTV with the wrong account number. Multichoice comformed the payment but I have being trying for hours to contact the customer care services through the numbers given to no avail. Am disappointed with the customer service. Please help my account is 2009439744. Kindly provide me with this information… Date of payment, phone number used to make the payment, account paid to, account you wanted to pay to, payment reference number. I've have your account reversed to the right account. by the use of my mpesa and till now am not able to watch the scrambled channels, still getting a message that my subscription is still expired. HI. I received an sms from GO TV on 15th January 2016 which stated that if I pay my subscription on that day via MPESA then I'll get a free month of GO TV service. I'm surprised this evening to find my account suspended. My IUC number is 2004423420. Kindly gotv please reset 2017514454. I paid yesterday and am yet to get service. Kindly assist. Am so disappointed with GOTV how can you suspend my account and all along i have been paying and the feedback i get from your decoder and customer care is that you cant fix the problem,i called 0711066555 to clear E16 error,i made payment through safaricom Mpesa by using your business number 423655 to 2014332524 and the feedback i get is negative,can you fix the problem so that i can get my services back. hey my IUC Number is 2016201246. i sent 1800 yesterday can you please sign me up with the local channels package. My decoder pin code is blocked and i dont know how to unlock it,, iuc no(2022313313). Hi i wanted to change from international channels to only local channels and i was told to pay 561/- for three month and it will automatically change but that was not done for five days now. my iuc numbers is 2016890067.Kindly sort me out. Hi,is the offer stil own of getting one month free of 850/- as per today 31st? HI MY IUC NO 2017547931 HAS BEEN PAID 600 BUT STIL NO SIGNAL PLIIZ HELP, ITS SHOWING THE CHANNELS BUT CANNOT VIEW ANY PLIIZ HELP.. I plan to start a boycott Gotv campaign as this guys have very poor customer service … hope to get the support of all complainers above. hi? kindly remind me the gotv acc number. My iuc number 2017676819 has been having issues and now I have only to encounter no chanel availlable. do i have to contact you every month for you guys to activate my account I have paid my subscriptions since yesterday and u have not activated my account my ICU no is 2015948419 please give me reliable steps to pay via airtel money?? Can I get Gotv customer service number in Kenya? Mteja mpendwa, malipo ya GOtv itabadilika kwanzia tarehe Mei 15 ifwatavyo: GOtv Value 650/- na GOtv Plus 920 /- kila mwezi. GOtv Lite itabaki 555/- kila miezi tatu. explain the above msg i got through my sms. i was paying 849 before what is my new rate or payment as per the above. My decoder was disconnected and i paid Ksh.850 via Lipa na M-pesa to Gotv acount no. 2016065245 on 22/04/2016 at around 1932hrs but to date my decoder is still disconnected. i contacted the M-pesa customer care on 23/04/2016 and they said the money was remitted to Gotv Multichoice. what could be the problem? Hi my name is Kubai Mugo account number 2017642265 what the beck is E48-32 icant watch t.v on aweekend. .
hi, i did a reset on my gotv and its a free to air decoder but am not able to watch any Chanel. Hello. I usually use the 849/- monthly subscription but i want to move to free-to-air subscription. How do i go about it? How much am i to pay for the free to air services? Hey. Am user 2017378890 and I have paid the 849 for go TV plus but they are saying that the amount payable is 1389. How do I get the service I have paid for? Hi am Mary, I renwed my monthly sub on 10 May and it's never activated. Transaction kea5ppu3h5 850 at 12:20 am and keb1pzp1nh 20 to acc 2015900715. Please send me back my cash I get a different server coz even your reset option and *423# are non operational. Your service centre is fully automated and no personnel to assist if you have tried all options and in vain. hey i made payment yesterday and my ICU no.is 2018674172 please remove the E-16 error. My IUC number is 2003587811 and i keep receiving texts that my account is due. I believe it is in error. The message is usually constant, reading 'Dear Customer, your IUC NO 2003587811 is due with kshs 849 Leave your decoder on & pay via Mpesa Biz 423655, Airtel Money (nickname DStv) to stay entertained' this message has a Nov 24, 2015 09:28 timeline on it though i keep receiving the text almost every day. Am meshack! I paid a week ago,2018844444. My account switched off this morning….please check. This GOTV Customer care service is a joke. I get through and I can hear your girls engage in cheap talk from the background. Then just like that you disconnect. Get professional.NKT! I have just talked to customer care staff a while ago and told him not to disconnect coz of expiry, I promised to pay by 24th May tomorrow at 4pm. Unfortunately it has been disconnected. Where is the support. Where is the customer relationship here. I CU number 2018683624. Hi I paid my monthly fee yesterday and my decorder is not working i have tried clearing E-16 error still nothing 2016883655 kindly help its getting irritating. Hello, i made my monthly payment and i am not enjoying the viewing. Correct that ASAP. Hi. I paid GOTV yesterday KSH 918. Mpesa transaction No KEP9TTSPRB. The decoder went blank. When I checked my Gotv account today its saying amount due is Ksh 920 while there is Ksh 918 that was paid yesterday . Please reset, activate account number 2009471596. I paid for my subscription this morning via mpesa but still shows I have zero balance. Kindly assist. Hi, l am Gotv user IUC 2017331537 i had paid 3 monthly 555 installment for Lite. how can i pay for plus? hey i did a wrong transaction on Saturday, i have tried contacting you but av not been able..
my phone number is 0721396694..
How can that cash be either reversed or moved to the correct account? ICU NO.2019251662 I paid ksh.555 and changed to Gotv Lite BUT now i can NOT view any of the free to air channels like NTV, KTN etc only KBC. Go tv a/c number- 2018637513. The subscription was paid. What is happening?I don't understand why reconnecting isn't automated. Do sth about this. Its.time consuming following up on such matters every so often. Hi Gotv team,its very inconviniencing to us your customers when someone has paid the monthly subscription on time and still find ur decoder unsubscribed due to payment.kindly deal with this problem quick enough.I am currently switched off for a mistake not mine. I HAVE PAID 920 AT 8.30 AM CONFIRMATION CODE KFG3ZP4397 IUC NO. 2017653610 I HAVE RESET LIKE 15 TIMES AND AM BEING TOLD INVALID. KINDLY REST MY DECODER. I HAVE TRIED *423# AND SENDING TEXT TO 22688 LIKE 15 TIMES TO REST I HAVE EVEN MADE A CALL TO 0711066555 AND 0711066000 AND THE REPLY IS THE SAME "DEVICE NO. 2017653610 COULD NOT BE CLEARED, PLEASE CONTACT YOUR NEAREST GOTV OFFICE". Am Jared iuc no. 2017828544,I paid for my decorder recharge yesterday evening and until now the E16 error is not yet cleared despite the numerous attempts have made to do it through gotv self service. Please let me know where the problem is. Kindly reset 2018542988 as soon as possible, as i've made payment via M-Pesa some 20mins ago yet the decoder isn't active. URGENT PLEASE!!! Hi,I paid for my subscription a week ago.Since Wednesday 29th 2016 the channels have been reduced to only 22 channels I have reset,scanned switch off and on but nothing. I have contacted customer care followed the procedures they advised me on but still the channels remain 22. I have subscribed to the Gotv plus bouquet of 920/= ,yet i cannot even watch what have paid for by right. Is it fair? What is happening with the Gotv fraternity? My iuc number is 2017414233 please assist me ASAP because the days are first moving and counting and i will soon be informed that my subscription has expired without watching the channels i paid for. My IUC no is 2017786646.It was accidentally pin~locked by my daughter.I have tried calling these guys to no avail because I need to unlock it fast to view my programms.Pls help . What is happening to GO TV payment plan? It was originally 849, i got a message 2 months back that the amount had been increased to 900. Then i got a message today saying that i should pay 916. This is irritating because i pay at the beginning of the month and i have to resend the balance when i get the message, days later. I have paid my go tv acc yesterday 17/7/2016,iuc no.2016929701,but the feed is e-16 not cleared,plus assist me. leare e-16,I have already made my payment,but naambiwa iuc no 2016929701,not valid. 2017234408 IUC NUMBER Not able to access the Gotv services and it paid for one year making me loose confidence with your services. Kindly sort it out. Hi..am Kate..gotv cut my connection too early..this time they didn't send the mail message..what should I do?my iuc is 2017397930. My gotv had a red and green full colour, how do I get rid of it? I paid 160 shillings for the new package yesterday, and i wanted you guys to change the older package of 920 shillings to that, for the time being, but you were not picking up any calls..even this morning i tried but nothing is happening…my IUC NO.2016178838, phone no. 0710324534. please i need your help. This GOTV IS JUST NONSENSE…………. hi, i paid for gotv lite annually at 840 on 27th august and up to now itb it not upgraded yet. whats the problem?? I have loaded for GOtv Lite, but not operating kindly assist..
Hello….you recently sent messages on your lower rates and the gotv lite goes for 160 a month. Do I need to change anything if i have been using gotv plus to lite? Hi! I am being put on hold for the last 30 minutes. Crazy!!!!!!!!!!!!!!!!!!!! Hi I paid for my girl TV subscription today and the went through but I have been waiting for the to give me back my channels but up to now I cant have them. This same mistake happened last month and I had to pay twice….. But I only enjoyed One Month even though I paid money for 2 M9 this I feel like they want me to pay again 2 times. I always pay 850ksh for one month but now I pay 850ksh times 2 for them to give me back the channels…… Please check and let me know what the problem could be and why is this happening and where does this extra money goes to. Joseph, Here's where I think the mistake came in. GOTV Plus is now 920 and not 850. The good thing is, the extra cash paid remains in your account. That means that that last month you overpaid by 780. You should have topped up just 140 to access gotv plus this month. But since you've already paid, the money will be carried forward to next month. Next time, just dial *423# to see how much you need to pay and while paying, ensure that your decoder is on for an automatic reset. For now, I've just requested GOTV to reset your decoder. Lovely day. Hi I did not pay for my subscrition this month which expired on the 13th. If I pay anytime this week, will it be disconnected again next month by the 13th of October? No. It will be disconnected a month after making the payment. If you pay today for instance, it will be disconnected on 29th of October. KJ51VQXDHV Confirmed. Ksh920.00 sent to GO TV for account 4624109534 on 5/10/16 at 3:24 PM New M-PESA balance is Ksh.61. Hakikisha! Press any letter or number and send to stop transaction. My account GOtv Plus is yet activated what is the problem? My decoder stopped functioning one month ago.it's completely off no power at all,what could be the problem. my IUC No. is 2018586516. I would like to completely block Nickelodeon channel from my GOTV channels and the parental key is not enabled. Please advice how to go about it. Hey,i have paid two times for gotv ICU 2019030372 ksh 850 and ksh 849 but on those two occasions it has never been activated the latter being today.how s this fraud possible coz the E16 error keeps in appearing,when I called customer service on 0711066555 I was told the gotv number doesn't exist,how now and yet KBC is showing only. I don't seem to be getting all the programmes on gotv plus like Sony and Sony Max…..what Could be the problem.. I paid my gotv subcription on 30/11/2016 and later i found the error code E48-32 . I tried to scan and no channels were detected. I tried to reset it for installation again and it keeps taking me to the signal information screen. Please help. Am in Matasia-Ngong. Where do we get Gotv service? My decoder needs to be checked. Hae am scola ad i got a call last month from gotv thy told me to pay my gotv that april coz thy have an offer ad wil give me may free ad thy disconnect my decorder wen dat month end.why could they do that coz its off now? Hey GOTV i paid my monthly subscription but is only international channels showing local channel are not. my no 4622768789 please assist. Hello I was trying to pay my Gotv 2018947763 ,Bt instead I payed to this wrong number 2018647763.. Am trying to call Gotv Castomer care numbers 0711066000/0711066555 BT they are not going through.. I have paid two subscription to change to Gotv Max but up to now no changes from your website……..i want to change from Gotv plus to Gotv Max. My GOTV services disappeared yesterday evening ,that is on the 11th of December and even after doing automatic scanning the reply is that no channels found or no services found.The Error code that appears on the screen is E48-32.The payment date for this service is 27th December 2017.The IUC number is 2004290776,what could be the issue ,is it with GOTV or my Decoder is malfunctioning.I need your help. Kindly assist, i paid for my subscription this mrng but no response from you. Iuc number 2017808693. Some channels are not showing..
Hello i bought this dickoda because of football(English Premier Legue) and am disappointed in you pple coz I don’t see anything concerning premier league. Reset my account now 2017557131 I have paid but customers number just repeating same procedure without even talking to concern person..
My IUC number is 7018829206,i downgraded to plus and made payment as rqurequi,iam asked to call numbers that wont go through!!! !pl pleathus is frustrating,help. My IUC number is 7018829206.….am unable to view after payment,all your numbers are unaccessible how else do I get assistance? Can you guys please have TLC in one of your packages?